The Government of Canada has rolled out new regulations and restrictions regarding the use of drones. Transport Minister Marc Garneau introduced the new rules, which prohibit drones from flying close to airports, emergency situations, and now formally prohibits users from operating drones when drunk or high. The new rules, which will come into force on June 1, 2019, apply to all drone pilots flying drones between 250 grams and 25 kilograms that are operated within the drone pilot’s visual-line-of-sight, regardless of whether the drone is flown for fun, work, or research, according to the federal government. Canada’s new regulations come after drones caused chaos during the holidays at UK’s Gatwick Airport. 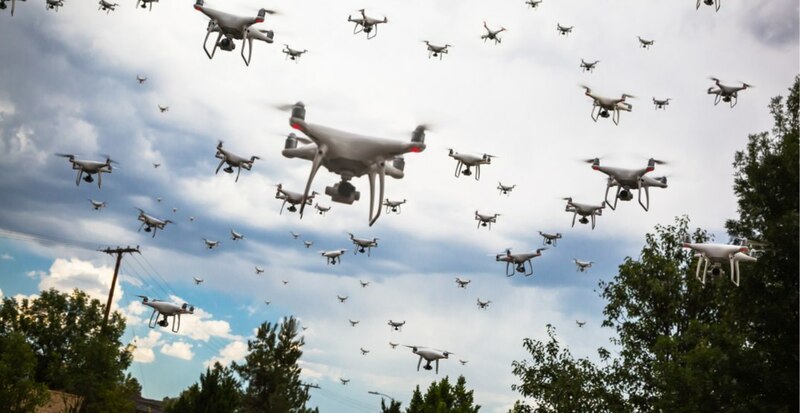 On December 20, tens of thousands of passengers were disrupted by drones flying over one of the UK’s busiest airports, according to the BBC. Among the new rules is an age restriction for drone users, who must be a minimum of 14 years old for basic operations. Drone pilots will now be required to register and mark their drone with its registration number; pass an online exam and get a pilot certificate for basic or advanced operations; stay below an altitude of 122 m (400 feet) above ground level; and stay away from air traffic. Pilots are also not allowed to operate a remotely piloted aircraft system (aka drone) within 12 hours after consuming an alcoholic beverage or while under the influence of alcohol. The government adds that only drone pilots who need to fly a drone outside the rules for basic or advanced operations will need to apply for a Special Flight Operations Certificate (SFOC) before they fly. As of June 1, 2019, pilots will need to have their certifications and proof of registration readily available when flying their drone. This can mean having an electronic version available on their mobile device or carrying a printed copy. As for violations, the federal government states that anyone who breaks the rules could be subject to additional fines of up to $25,000 and/or prison. “All drone pilots are also subject to the Criminal Code as well as all provincial, territorial, and municipal laws governing areas such as privacy and trespassing. Endangering the safety of an aircraft is a serious offence,” states the Government of Canada.